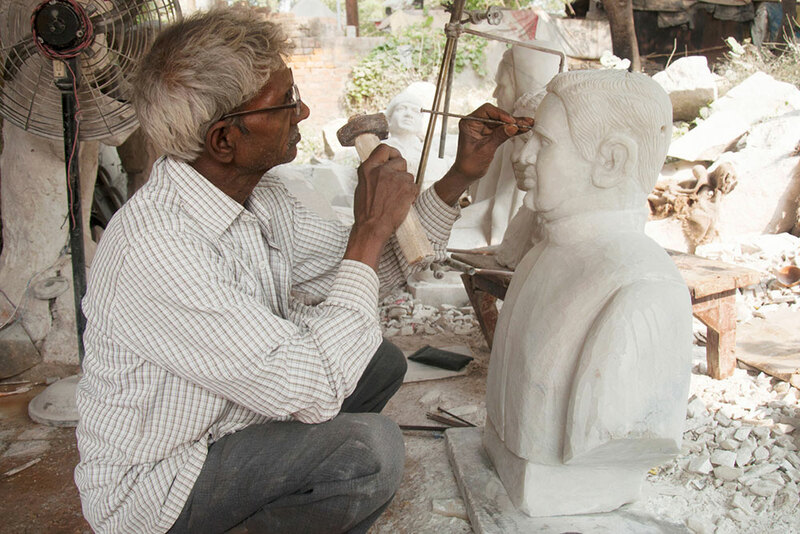 Artisan working on the marble stone portraiture. 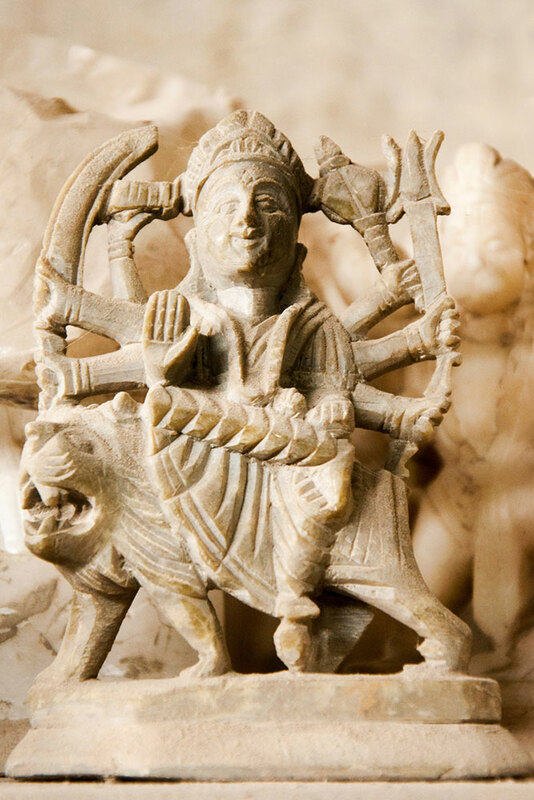 Most charming durga idol of marble. Shirdi Sai Baba idol made of white marble stone. 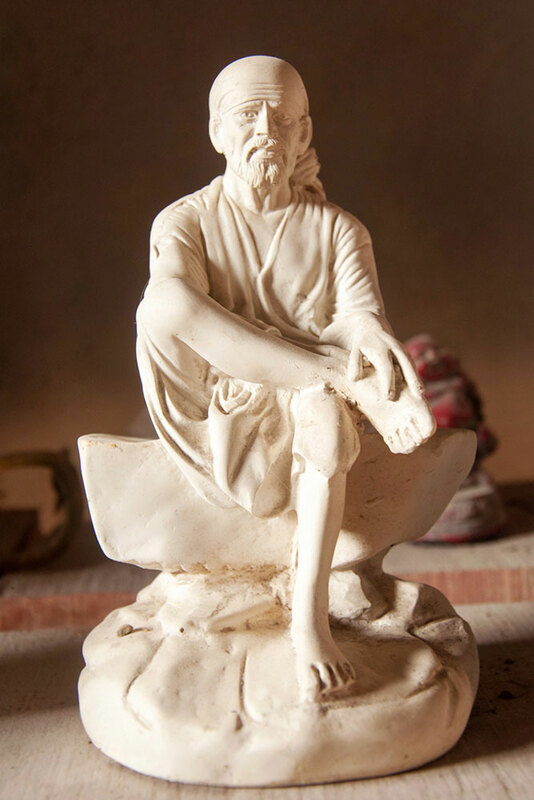 To make a marble stone portraiture or an idol initially a reference photo is taken. According to the reference the clay model is prepared. 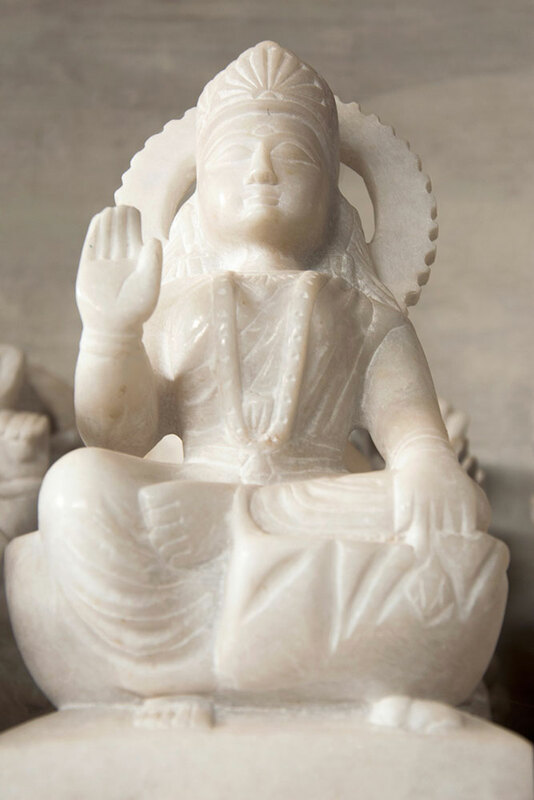 Marble sculpture is then verified with reference idol for the overall appeal. 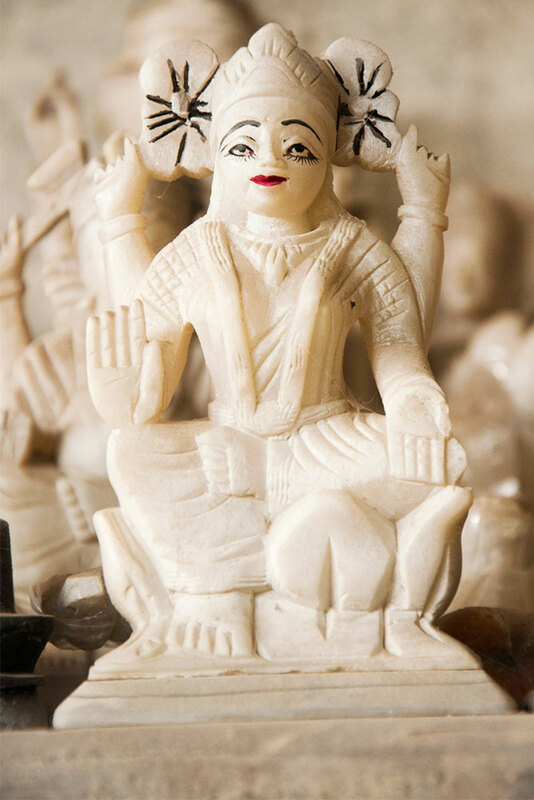 Intricately carved marble idol is organized for sale. 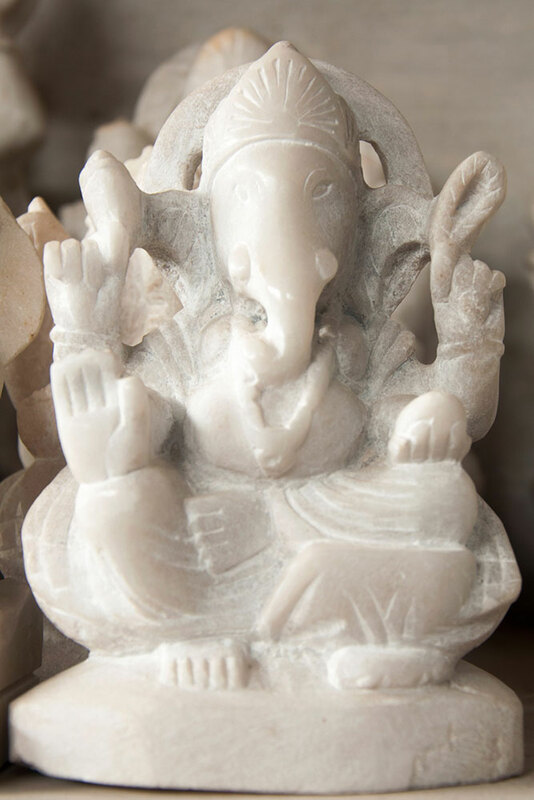 Magnificently carved marble idol of Lord Ganesh. 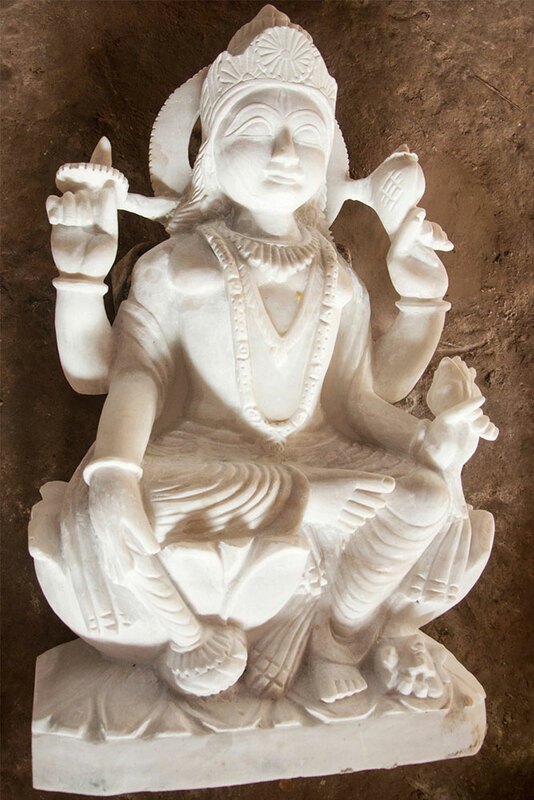 Marble sculpture of Goddess Lakshmi. 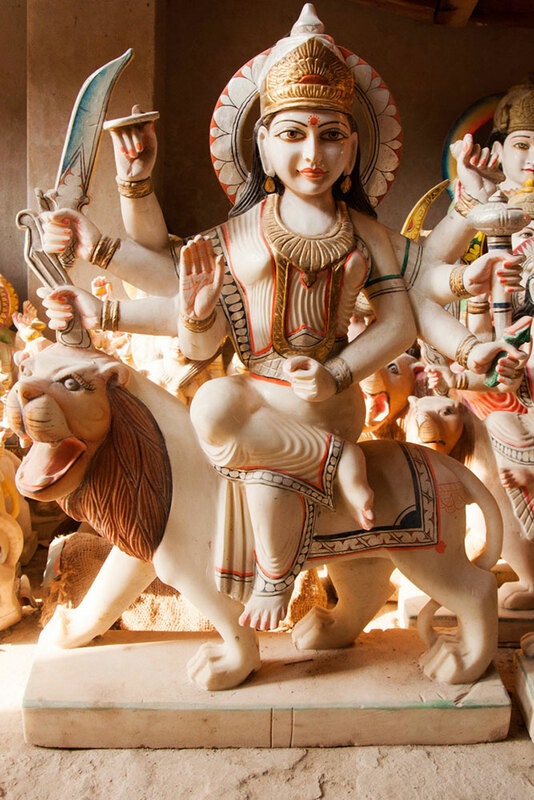 Beautifully colored Goddess Durga idol of marble stone. Graceful statue of Goddess Lakshmi. Unique idol of Panchamukhi Shivling made of marble. Varanasi is also known as cultural capital of India. Whereas Varanasi has its unique culture and also known as Banaras or Kashi. Kashi Vishwanath temple is the most famous Hindu temple and it is one of the twelve Jyotirlingas. 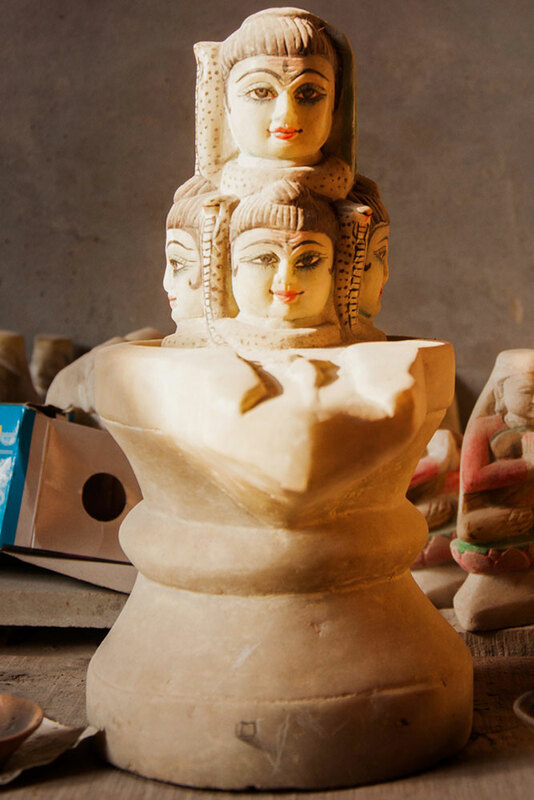 Varanasi has its own distinctive style of stone carving. Stone sculpture is an old and unique method of giving shape to the rough natural stone. The marble sculptures are very famous in all over the world. 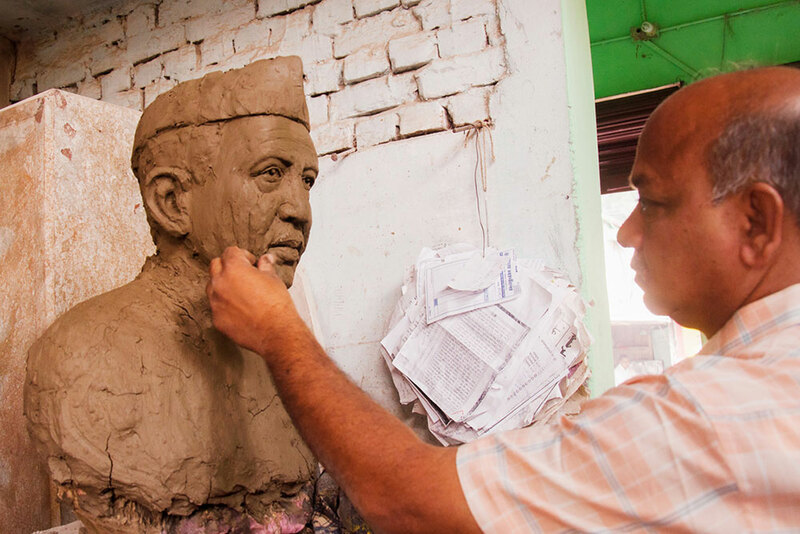 The stone art is much common in every state of India. 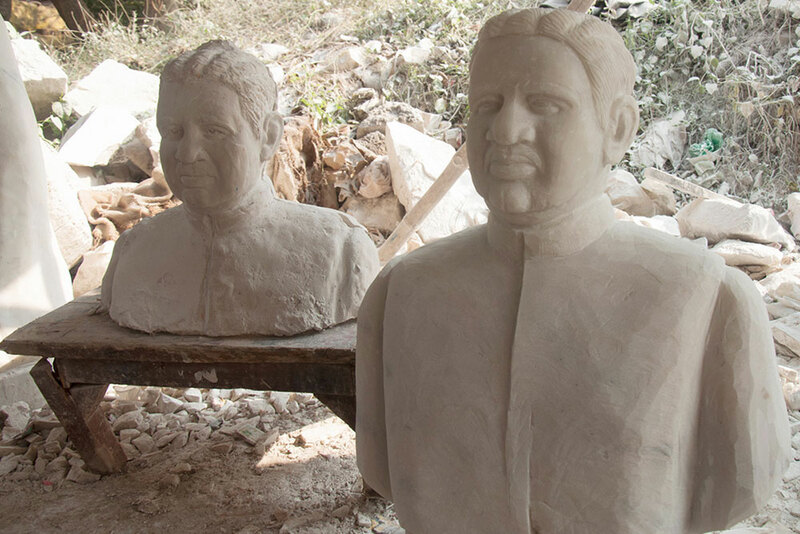 In India most of the marble sculptures are employed for sacred purpose. Rajasthan is one of the marbles producing state in India. Marble sculptures not only long-lasting but they are classy and sophisticated as well. 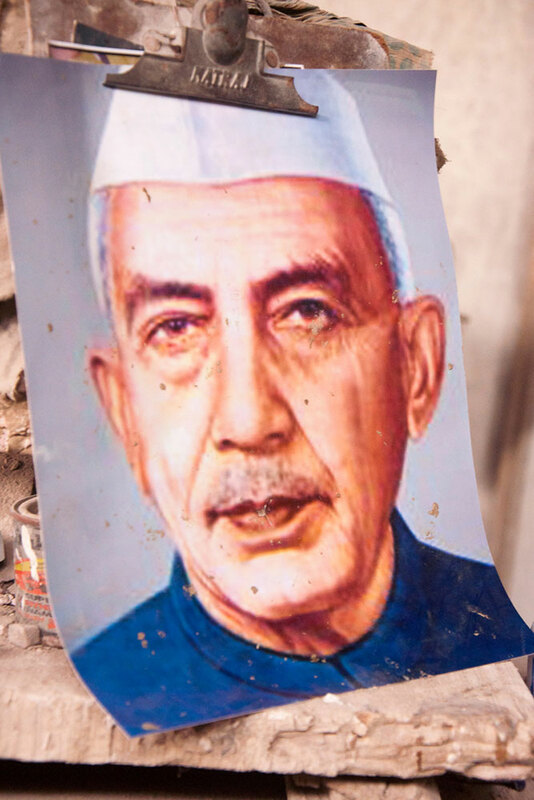 White marble is not only used for sculptures but also for building monuments. The 7th wonder of the world, Taj Mahal of Agra built by a great Mughal emperor Shah Jahan and the Supreme Court building was constructed by using several different types of marble and Temples of Dilwara in Mount Abu are the best examples.